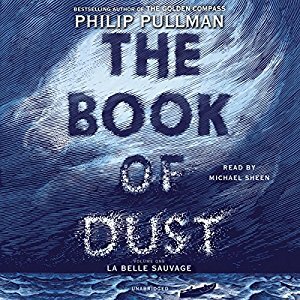 The Book of Dust: La Belle Sauvage, Philip Pullman; Michael Sheen, narra­tor (Listening Library 978-052552298-0, $60.00, 11 CDs, 13 hr., unabridged [also available as a digital download]) October 2017. 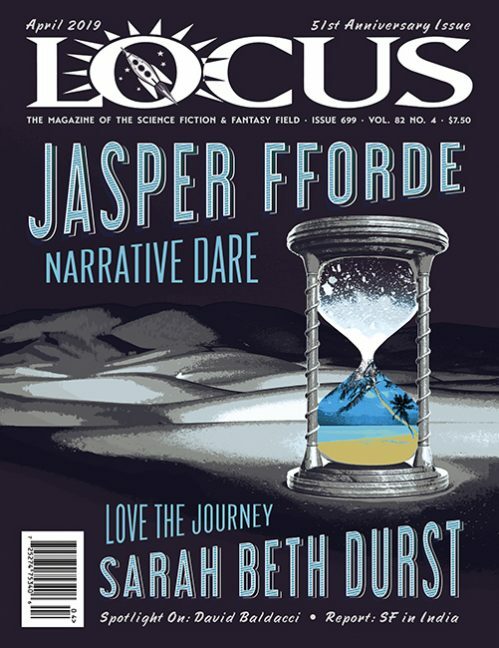 Set a little over a decade before the beginning of The Golden Compass, this poetical volume – the first in a projected trilogy – tells the story of Malcolm, an intelligent 11-year-old potboy, and 15-year-old barmaid Alice, who find themselves the protectors of baby Lyra. To defend her from the forces of the Church, who fear Lyra’s role in a prophecy, and a brutal physicist with a grudge against Lyra’s moth­er, the two embark on an incredible canoe journey through a flooded England, countering a variety of threats and encountering unknown magics roused by the unsettled weather. The audiobook productions of His Dark Materi­als were all thrillingly performed by a full cast, so it seemed unlikely to me that a single narrator would be able to clear the high bar they set. I was so happy to be wrong. Welsh actor Michael Sheen, who plays the demon Aziraphale in the long-awaited TV mini­series adaptation of Pratchett & Gaiman’s Good Omens, more than meets the challenge. He master­fully acted the whole book (and I do mean acted; when a character was described as having a mouth full of food, Sheen actually spoke that way), creat­ing distinct voices with specific pitches and accents. Otherworldly characters (a petulant fairy queen, a rules-bound river giant) all have the appropriate el­dritch air. In short, Sheen vanished into the perfor­mance so completely, it was hard to remember he was one person. I think I’ve finally found the next Jim Dale. I did thumb through my copy of The Golden Compass to see if this novel was consistent with what we previously knew about Lyra’s early life, and it doesn’t quite seem to be; I think some ret­conning went on here. Dame Hannah Relf seems somewhat younger in La Belle Sauvage than can be accounted for in the trilogy, and Lyra’s adventure here doesn’t quite seem to fit in with what the gyp­tians tell the 10-year-old Lyra about her babyhood. But I’m so happy to be fully back in this world, to have this beautifully told story so masterfully narrated by Sheen. 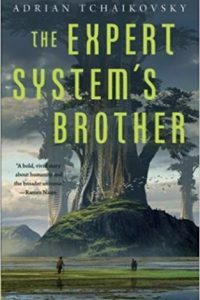 If you already love the series, you’ll want this; if you’re previously unfamiliar with the series, this might not be the best jumping-off point, but it’s worth your while anyway.